Cape Town – Donald Glover’s award-winning comedy drama Atlanta returns for season two Thursday 29 March on 21:50 on Fox Africa (DStv 125 ). Season two titled Atlanta Robbin follows the cousins Earn (Glover) and Alfred 'Paper Boi' (Brian Henry) as they continue to hustle in the Atlanta music scene. In an interview with reporters in Los Angeles earlier this year Glover talked about taking risks with the show, employing inexperienced writers and how the success of his show is affecting his personal life. 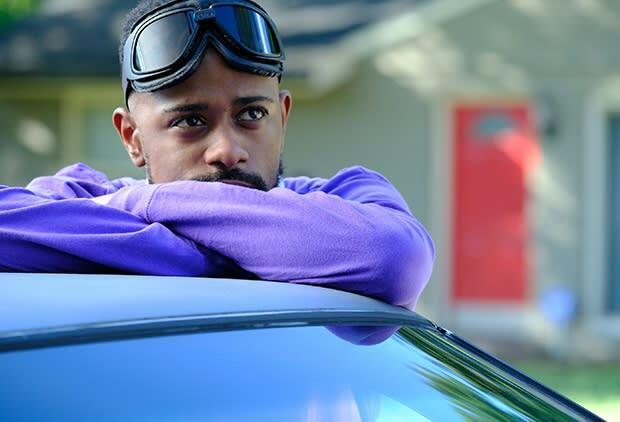 In Season 2, your character Earn and his cousin Alfred, aka “Paper Boi,” have to move through Atlanta and life differently because Alfred’s career takes off and he becomes famous. Has that also been true in your own life following the success of the show? That was what we were feeling about Season 2, so we played with that. I also kind of forgot that everybody on the show wasn’t super famous before, so people are getting more famous and having to deal with that. What people are going through (in real life) always helps with the characters. And everybody (working on the show) went through personal changes, so I just used that on the show and tried to mimic it, because it’s a good thing - then you don’t have to act. What is the overall direction for season 2 and the rest of the show moving forward - will you keep taking lots of creative risks like with season 1? I don’t like shows when they become risk-averse. I don’t think the point is trying to self-preserve - I’m not here trying to make seven seasons and a movie. I think that would be really bad - unless we get to seven seasons and I’m like, “You know, a movie would be perfect - somehow Atlanta became Game of Thrones.” (laughs) But I’m not trying to do that - I’m trying to see something ‘til it naturally dies, because I think death is fine. For Season 2, we looked at the previous season and all the stuff that we didn’t like or the things we would’ve changed. But I didn’t look back. I tried to treat it like life; I tried to treat the show like the way your life handles time. It’s like, yes - something horrible or something good happens, and then you move on. So we didn’t try to capture any of those moments (in Season 1) again. You filled your writers’ room with people who had never worked on a TV show before. How did that shape the show? You’re more willing to take a risk when you don’t know you’re taking one. I never felt like any of the things I did were risks that people said were - which either makes me very smart or very stupid. Either way, you’re not aware of the problems that could arise. Everybody on the team adds something - they’re authentic. They weren’t going to sit there and be like, “Oh, we can’t say or show that on television - that might be too real.” I thought it was a good thing that none of them had any of that baggage. It allowed us to look at the 30-minute spot as opposed to, “This is what comedy and sitcoms are supposed to be.” It was just like, no, we just have 30 minutes on TV and we can do whatever we want with it. Why are you not calling this “Season 2” but “Robbin’ Season,” and how does that play into your bigger objectives in making the series? It just isn’t “Season 2.” I still want to keep the audience understanding that I’m not sitting here making a TV show - I’m making an experience. I mean, winning (Golden) Globes is great, winning Emmys is great - that’s really cool, especially since it allows us to keep making the show, and I have no problem with it. But that’s not the point. The point is to give quality to the people - that’s it. How is the music going to change from last season, and what is the role of music in the show overall? With the music, I always want to just progress with the music that’s actually happening in the trap (music scene), that’s actually happening in Atlanta. Whatever the music, I try and show the echo effect of where a lot of stuff came from, but in general, I just follow the trends of actual Atlanta - like what’s hot, what do killers sound like now, what is warlord music now, what is the eat-or-be-eaten music now. Because that’s the heart of the city - I think that is actually the voice of Atlanta the most. 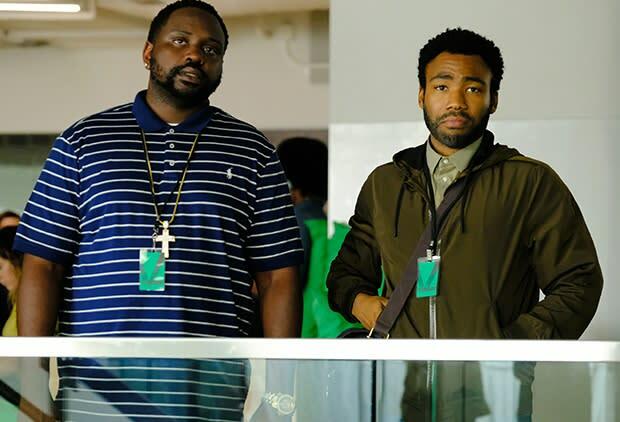 When people go, “Oh, Atlanta’s a character in the show,” I’m like, the music is really its mouthpiece for that. So the music has become more like the city, it’s just followed that. How do you maintain the balance between keeping the story realistic while also making a scripted comedy-drama in keeping with the television format? It’s a balancing act - we kind of live episode to episode. This season, there are some episodes where we pull out of that completely. In a lot of ways, the show is an exercise in tone. It’s a lot like trap music, where all the instruments are pretty much the same most of the time, but the tone and the cadence and what you’re talking about are important. That’s what makes the flavour of the cake. It’s not that this cake has eggs and this one doesn’t - they all have eggs, but are your eggs fresh, or is it old and that’s the point of it? It’s the tone that we realised made us us, and just staying in that tone and not trying to appease anybody but ourselves. Catch Atlanta Robbin Thursdays at 21:50 on Fox (DStv 125).